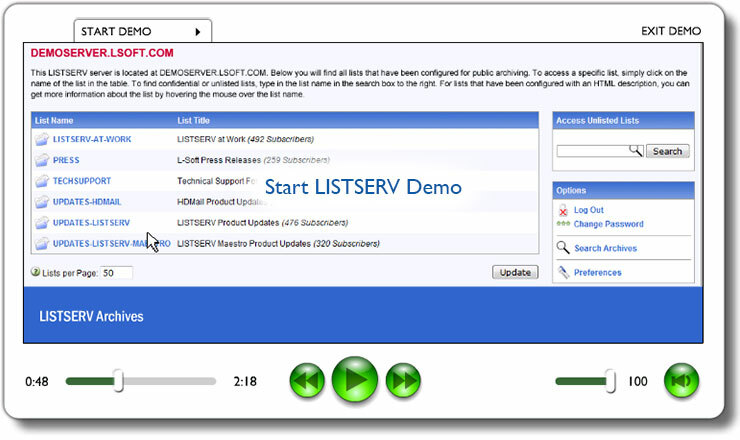 LISTSERV, which is the software that runs the ListPlex service, provides the power, reliability and enterprise-level performance you need to manage all of your opt-in email lists, including email newsletters, announcement lists, discussion groups and email communities. Find out everything that you can do with LISTSERV. Note: The server administration functions depicted in the demo aren't available with the ListPlex hosting service since L-Soft takes care of this for you.